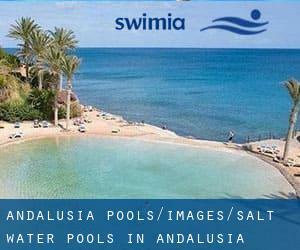 Looking for Salt Water Pools in Andalusia? Lots of of them belong to gyms or sport centers which also deliver lessons. Please check the nearest Swimming Pools or Contact us to ADD IT. It's absolutely free! Please, use the contact information and facts provided at each pool profile. These are the Salt Water Pools in Andalusia other users have reported. Are you a local and your pool is not listed? Contact us to ADD IT. It is cost-free! Traveling to Andalusia? This is the right spot on the internet to find locations to swim in Andalusia. Each day you might be not swimming you are losing precious time to improve your abilities a be a better swimmer! No additional excuses!. There are generally discounts out there to senior citizen and small youngsters. Find out by contacting your nearest pool in Andalusia. Whereas Seville is one of the six most populous cities in Andalusia with nearly 703.206 residents, you shouldn't miss that one if you're going to Andalusia. It's difficult to visit Andalusia without dropping by Cordova (with 328.428 residents). Currently Swimia is showing you all the Pool in Cordova and also the closest pools located in its vicinity. Swimming is a exceptional idea to help keep your body active for the duration of your visit to Granada (Andalusia), or even for anyone who is a local. 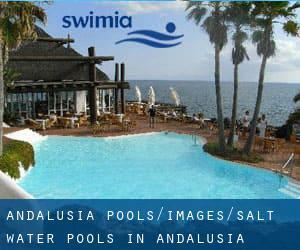 Swimia helps you to find your closest Swimming Pool in Granada. Let us let you know a secret to switch off even though you happen to be in Málaga: just opt for a Swimming Pool in Málaga and plunge into the water! There's no even more productive approach. Updated on 2019 Paseo Alonso Quesada s/n , Las Palmas , Gran Canaria , Islas Canarias , Spain (Postal Code: 35005). Few days ago a regular user of this center told us they offer Olympic size, 8 lanes, Salt Water, Outdoors. Furthermore, they keep in good conditions Olympic size, Salt Water, Outdoors. Contact information for this Pool for example phone number and email address are number. Updated on 2019 Avenida de America, 51, 28981 Parla, Madrid, España. Swimmers like you reported 25 meters, 5 lanes, Outdoors, Salt Water, Non-Chlorine Sanitized. Unfortunately we do not have the email address of this Swimming Pool, but we can give you the phone number. Updated on 2019 Calle Francisco González Villamil, 36, 33740 Tapia de Casariego, Asturias, España. Among all of the activities supplied by the center, for anyone who is interested in swimming you can expect to delight in outdoors, Salt Water, Non-Chlorine Sanitized. Just in case you want to contact this Swimming Pool before dropping by, we only know the phone number. Updated on 2019 Paseo Marítimo Marq Santulla, 33130 Muros de Nalón, Asturias, España. This sports center offers Olympic size, Outdoors, Salt Water, Non-Chlorine Sanitized. Contact data for this Pool which include phone number and e-mail address are number. Updated on 2019 Paseo Joan de Borbo, 93 , Barceloneta , Ciutat Vella , Barcelona , Spain (Postal Code: 08003). Swimmers like you have reported 25 meters, 25 lanes, 2m depth, Indoors, Outdoors, Salt Water. Also, you will find 5 meters, 1 lanes, 1.20m depth. If you might want to get in touch with this Swimming Pool, email address and phone number are both number. Updated on 2019 Rúa de Celanova, 83, 32650 Vilar de Santos, Province of Ourense, Spain. This sports center offers 25 meters, 4 lanes, Outdoors, Salt Water, Non-Chlorine Sanitized. Contact knowledge for this Pool which include phone number and email address are number. Updated on 2019 Carretera de Terrassa, 267, 08206 Sabadell, Barcelona, España. Among all of the activities provided by the center, when you are interested in swimming you can expect to enjoy 25 meters, 5 lanes, Indoors, Salt Water.